been in the sub-$350 price range with the demand or need for an ultra high end device just hasn’t been there for a lot of people and organizations. Still, for the ultimate Chrome OS experience, the Pixel was at the top of the list, no questions about it. If you still want to get a Pixel, you can do it. At the Google Store you can get the top end model with the Intel i7 processor, 16GB RAM and 64GB of Storage for $1299. These ship within 1-2 days upon order. As of now, this is the only Pixel model that is available to purchase. 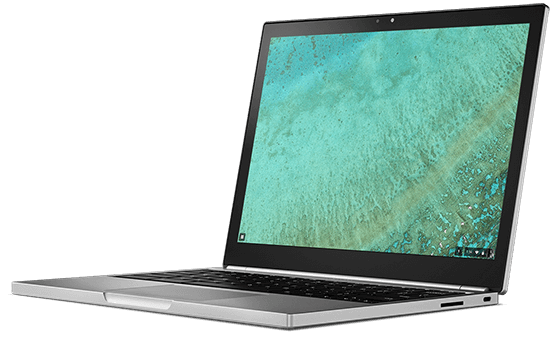 With Google I/O happening in a couple of weeks, it will be very interesting to see if the company releases a new Chromebook Pixel. My bet is no between the Pixel C Android tablet and this new collaborative effort with HP. That new Google/HP model is a far more palatable price for many who wanted more than just a basic Chromebook and I suspect that Google’s efforts, much like the Nexus lineup, will be a collaborative one with other manufactures on top-end Chromebooks.